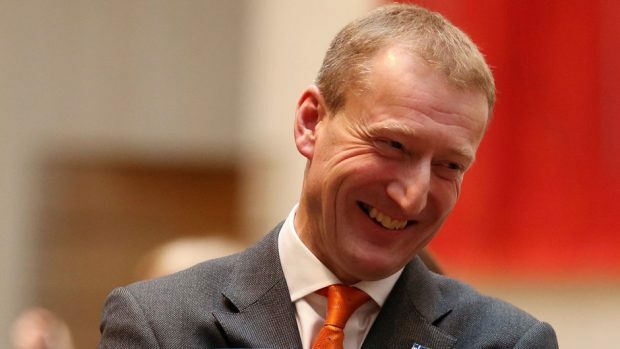 A leading Scottish Liberal Democrat MSP has demanded Shetland be given the option of independence if the SNP again try to force the break-up of the UK. In a blistering attack on the government’s record, Tavish Scott said islanders should have the chance to choose “self-determination” in the face of “arrogant central belt government”. First Minister Nicola Sturgeon has suggested a UK-wide vote to leave the EU in June could trigger a second referendum on Scottish independence. But Shetland MSP Mr Scott told his party’s spring conference that such a move would force a “real debate” on the “constitutional future” of the northern isles. The SNP’s Mike Mackenzie hit back, saying his party was “serious about empowering islands”. Referencing Wir Shetland, a multi-party campaign group dedicated to winning self-governing powers for the island, Mr Scott told the Edinburgh audience: “It is this endless centralisation, the arrogance of a central belt government who always know best, that has encouraged the formation of Wir Shetland. “They represent a wide group of islanders who want self-determination for Shetland. “I have visited the Isle of Man. There is little they decide there that Shetland could not determine. “So if the UK withdraws from the EU, and the SNP force a second independence referendum, Shetland should have the right to decide where we want to be. “The way this country is going that might be back to Norway. “But at the very least we want the chance to explore an opt-out of our own. “On May 5, Shetland can vote for rule from Edinburgh, or to explore what is in the islands best interests. “We need a real debate about the best constitutional future for Shetland. One thing is for sure, the SNP will not give us that. He was speaking during a debate at the party’s spring conference, where members agreed to back calls for all legislation to be subject to “island-proofing” – a bid to ensure laws would not adversely affect places like Shetland and Orkney. Last night, the SNP MSP Mr Mackenzie said: “The SNP is serious about empowering our islands – making sure that they prosper and fulfil their potential. Mr Scott had made a similar call in the run-up to the 2014 referendum on Scottish independence, when he said that campaign was a chance for Shetland to fight for “home rule”.